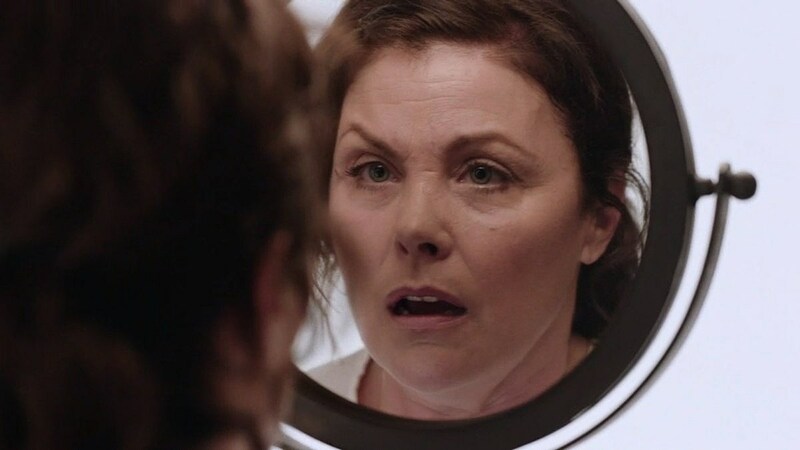 Twin Peaks fans more or less predicted David Lynch would leave us with more questions than answers, though the bizarre side-story of Sherilyn Fenn’s Audrey Horne seemed strangest of all. Now, a new Twin Peaks book reveals the insane (and depressing) truth of Audrey’s musical fantasy. You’re warned of both Twin Peaks: The Return spoilers and any subsequent follow-up, but forget about Cooper and Laura Carrie’s trip to another reality for now. Fans really wanted to know what happened to Audrey Horne, who was last seen in the 1991 finale’s bank explosion, and didn’t pop up again until after midway through the revival. Even then, the character seemed largely to argue with her husband Charlie about going to the Roadhouse, until their trip turned into a bizarre dance number, and ended with Audrey awakening in a white room. Fans were equally uncertain if the character were still in a coma from the the explosion, or some other magical weigh station, but co-creator Mark Frost took it on himself to provide the answer in new novel Twin Peaks: The Final Dossier. Vulture took a look at the guide’s explanation, which grimly confirms that Cooper’s “Mr. C” doppelganger raped her (thus fathering Richard Horne) after she’d emerged from a coma. As the book goes on to reveal, Audrey opened a beauty parlor and suddenly married her longtime accountant, and was subsequently observed with “troubling accounts of public scenes, heavy drinking, verbal abuse, and sexual infidelity.” Some time later, Audrey unexpectedly closed down the salon and “hasn’t been seen or heard from since,” though rumors of “agoraphobic seclusion” and “a private care facility” persisted. The Horne family refused to explain her disappearance, though we can likely presume the white room was in fact the private care facility. Why David Lynch chose such a harsh, cryptic and off-screen fate for one of the series’ most beloved characters is anyone’s guess, but what other looming questions should Twin Peaks answer?